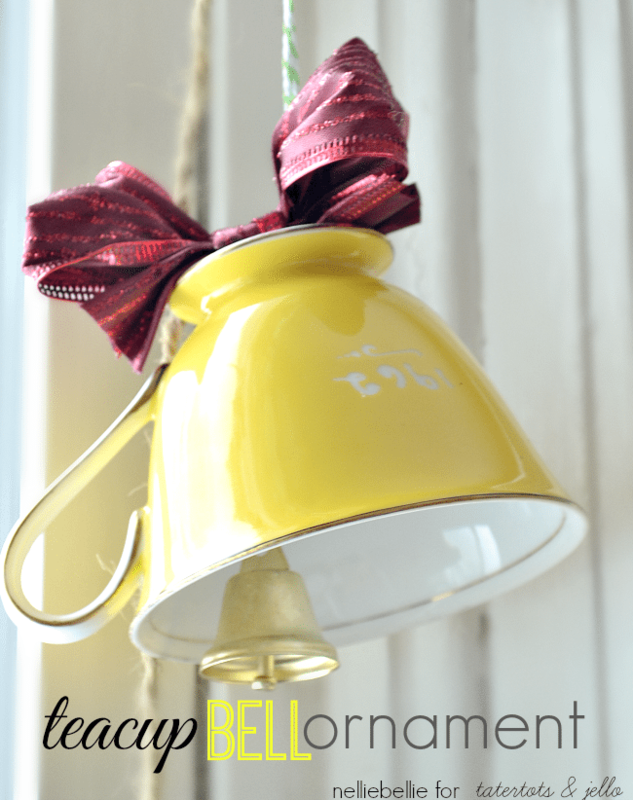 I’ve been loving all the Christmas ideas showing up here, and today I’m here to share a fun DIY Christmas ornament idea that is just the sweetest, most unique idea! I’m in love with this little ornament! 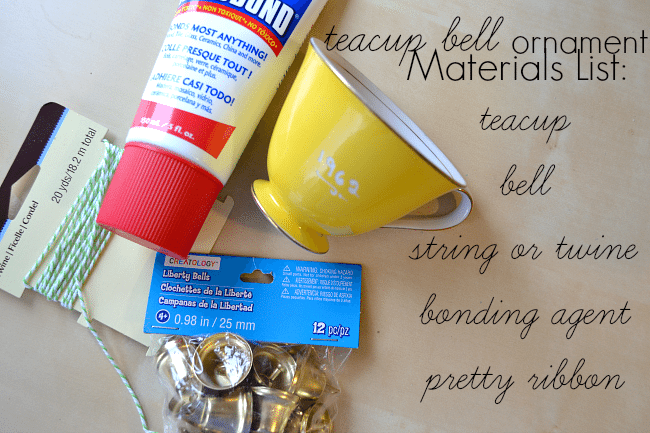 This ornament is easy to make and doesn’t require fancy tools, this teacup bell ornament is a perfect DIY ornament for your Christmas tree! I love the idea of using items in new ways! The great thing about this materials list is that you can adjust it to what you have available. Find your teacup at your local thrift store where they often have single, mis-matched cups for a great price. 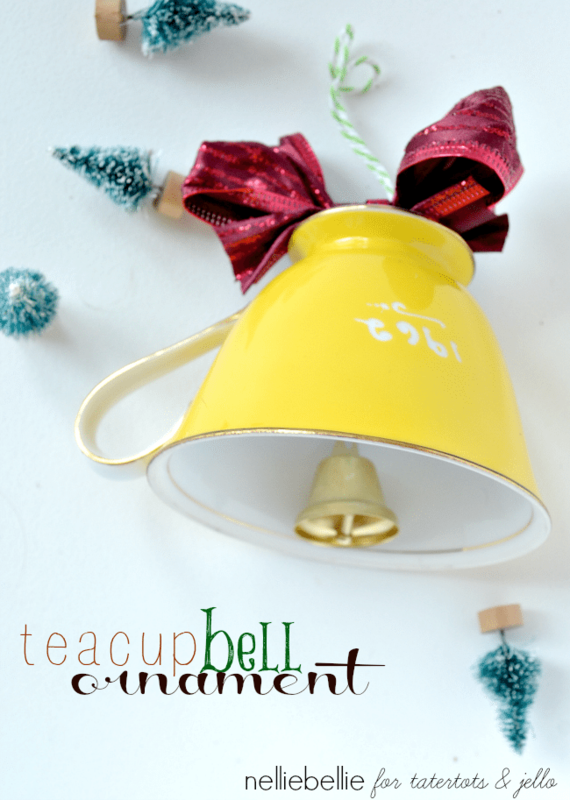 The bells are available at your local craft store (or steal a bell off of a cast-away jingle hat or ornament). Use your favorite bonding agent, even Super Glue will work great! 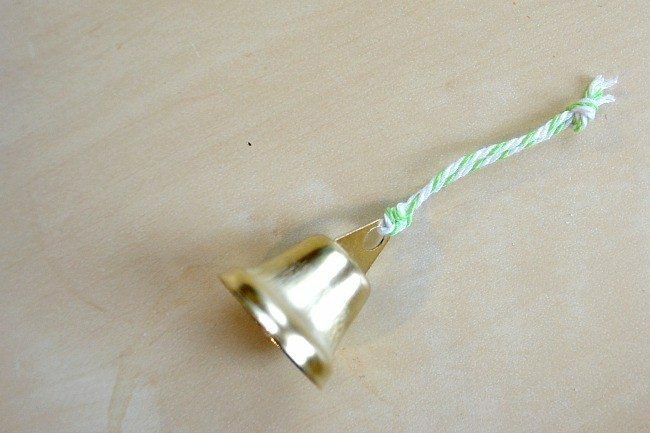 1- Tie a length of string/twine to your bell. Be sure to check the length to be sure that it will still “ring” when it clinks the edge of the teacup. Tie a knot at the top. 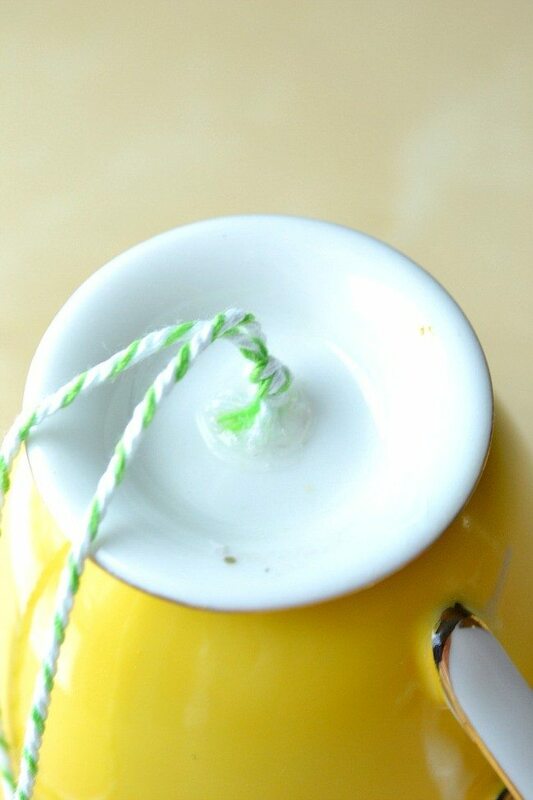 2- Apply your bonding agent to the top of the knot and place it in the very center of the inside of your teacup. Then wait for it to bond. Hopefully, you are a smart crafter and get a bonding agent that bonds quickly. Or, you may have to resort to holding the teacup and bell in one hand and using the hair dryer in the other. (true story!) Let it bond several hours, overnight if possible. 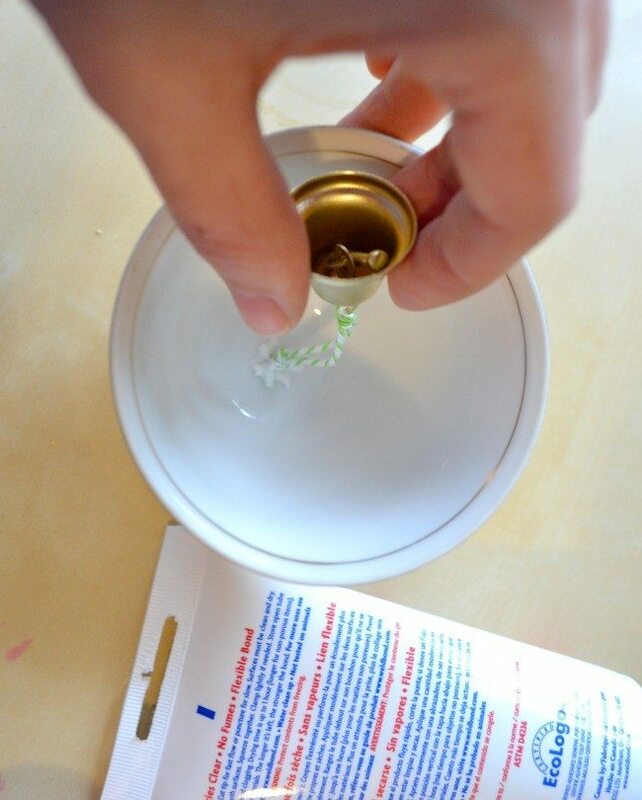 3-Use that same bonding agent to attach a loop of string/twine (for attaching your ornament to the tree) to the “top” of your ornament. Which, for the record, is actually the bottom of the teacup. Let dry throughly. 4- If you like — tie a beautiful ribbon bow to the string at the top of your ornament. I would love to say that this ornament is hanging from a special place on our tree. But, it’s simply not true. It’s hanging from my window all by itself because I love it so and want to look at it in all it’s glory while I drink my morning latte! I hope you all hop over and visit me! I’ll roll out the virtual red carpet! 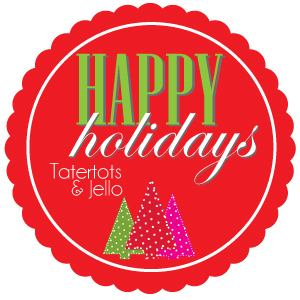 And, be sure to stop in here at TT & J all month for crazy awesome posts…seriously awesome! I just love this idea of leaving a key for Santa if your family doesn’t have a chimney for him to come down! So cute! 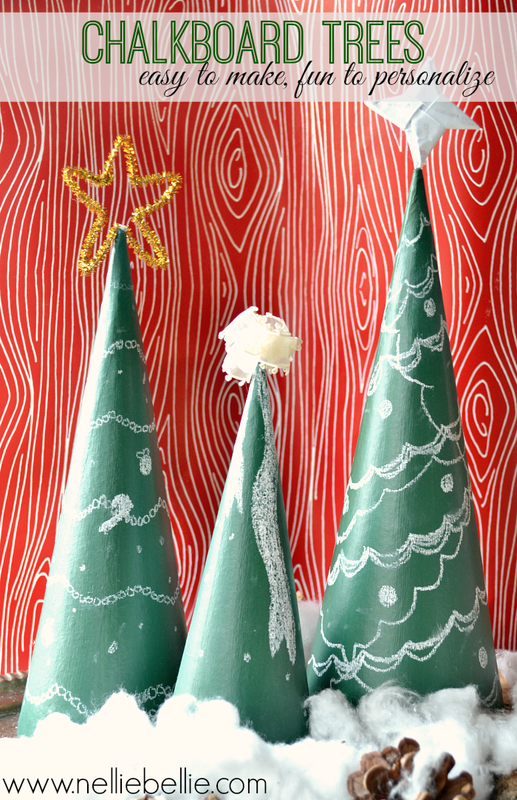 These Chalkboard Christmas Trees are such a fun, easy craft that your kids will love!! 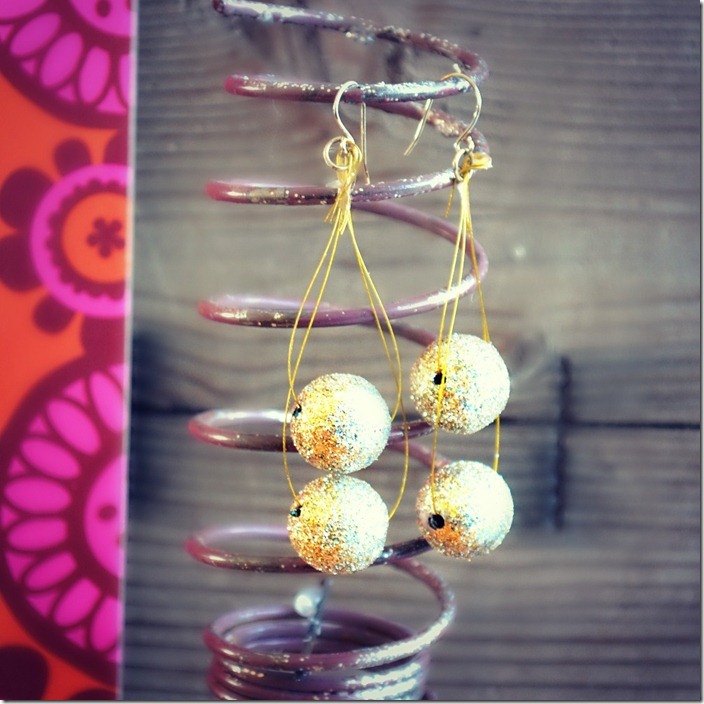 And this craft tutorial for Glitter Ball Earrings would be the perfect thing to get you ready for that New Year’s Party!! Aaaw. How adorable! Love this idea!